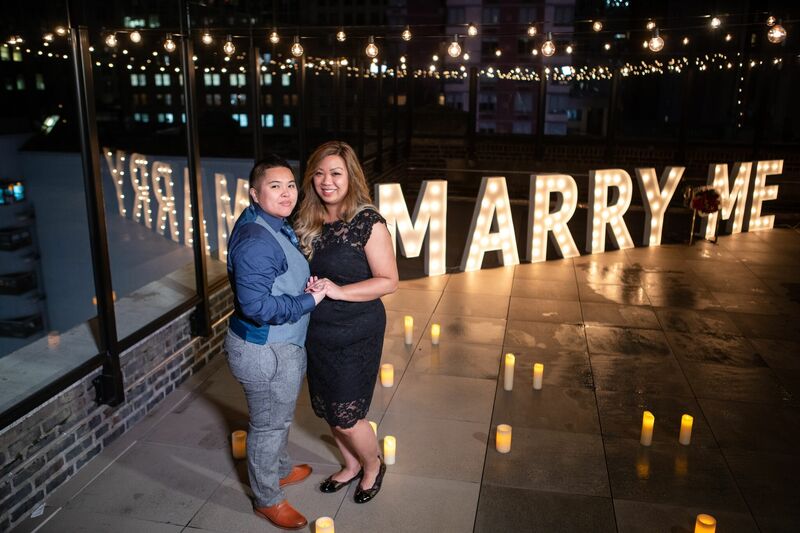 Valentine’s Day is coming soon and we are offering a special proposal package for this month. 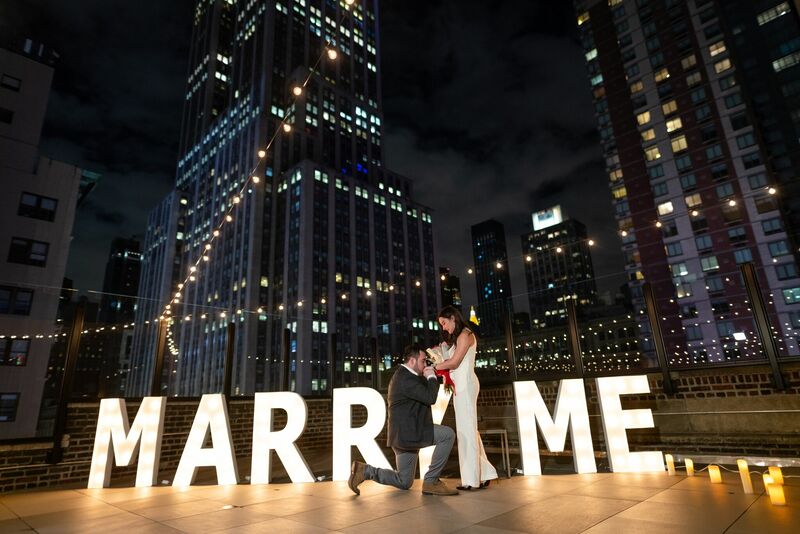 Gigantic “Marry Me” letters plus the private rooftop. We all know, that February 14th is a bit of a cliché, so to spice things up we come up with this offer. 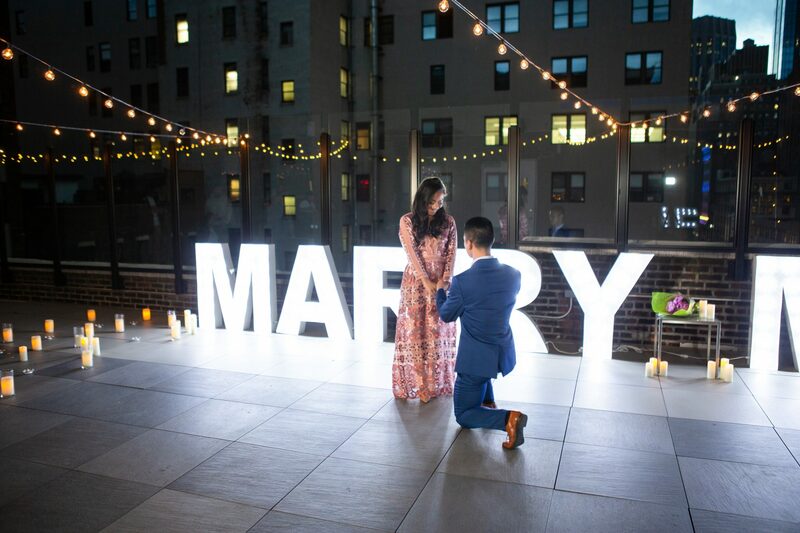 Flowers, secret location, music, Empire State Building and 4 feet tall marquee letters. 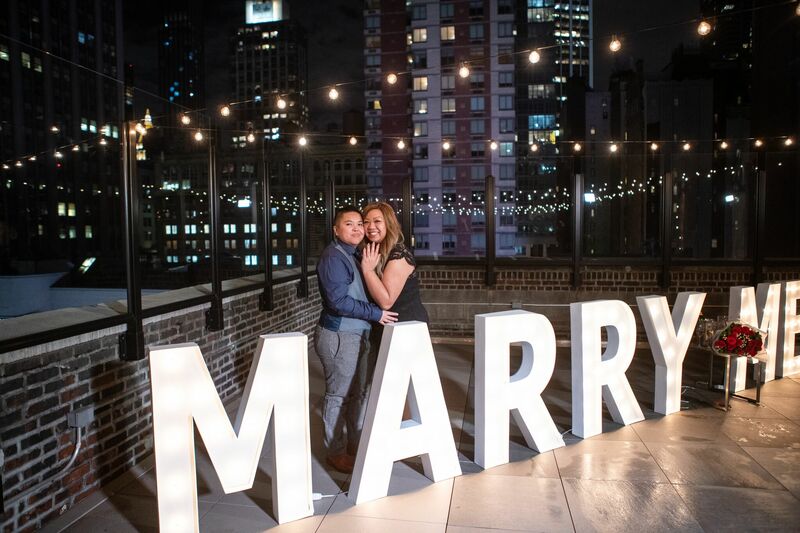 The letters are 4 feet tall and they are taking much of the rooftop space, so with it you don’t really need any other decorations around there. Also, because of its size, they can’t fit to all the rooftops, so it’s a limited number of rooftops. We cant place the letters outside in a park as its need a special permit. 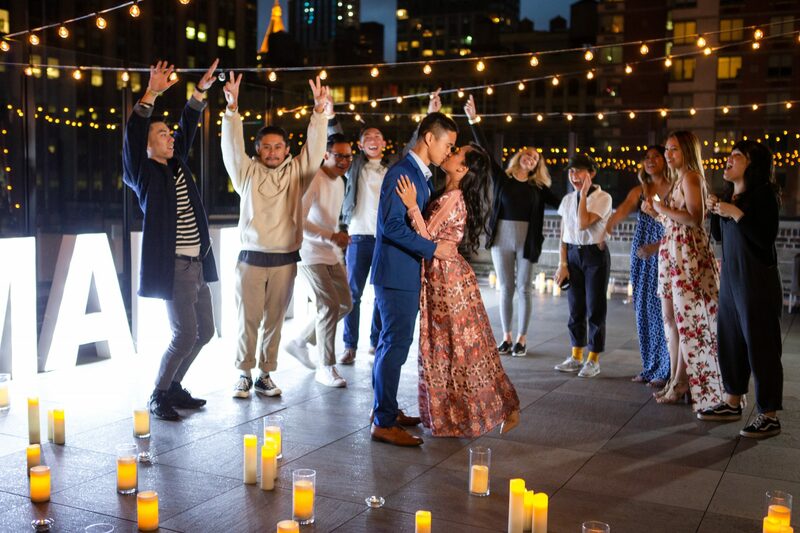 But rooftops are perfect for an intimate engagements. 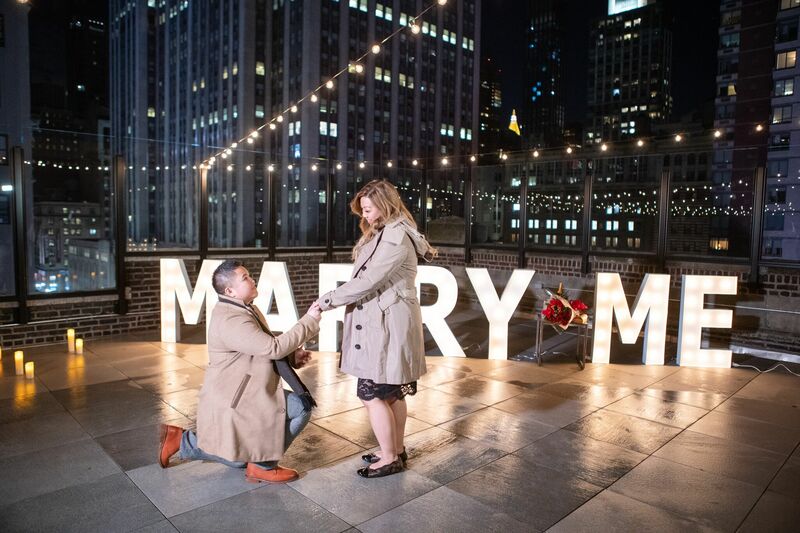 Dont miss this unique opportunity to surprise your partner with this ‘ wow’ engagement. Our experienced team will guid you through the process, so that all you need to do just come on time and make sure you have the ring. 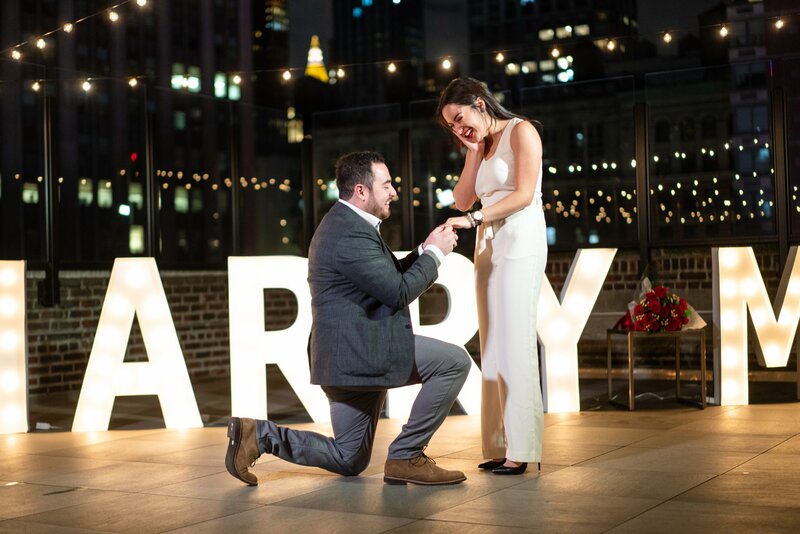 If you want to propose this february, but don’t know where to start, contact us now at head@proposal007.com and will be more than happy to help you out.